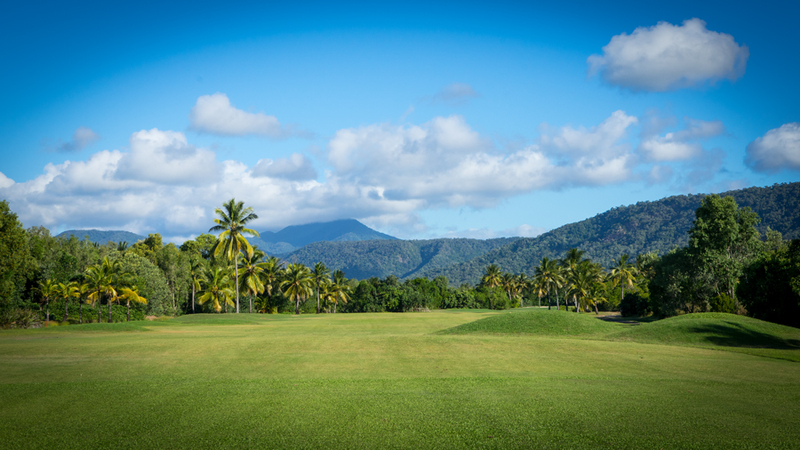 Port Douglas offers so much and after our exciting snorkeling trip to the Great Barrier Reef it was time to play golf again. 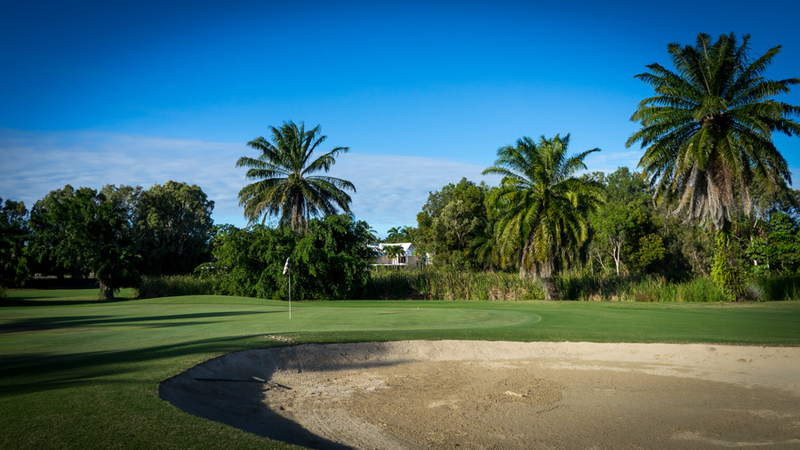 Mirage Golf and Country Club is located just five minutes away from our lovely accommodation at Paradise Links Resort. In my opinion the course is quite interesting because of the difference to Palmer Sea Reef. 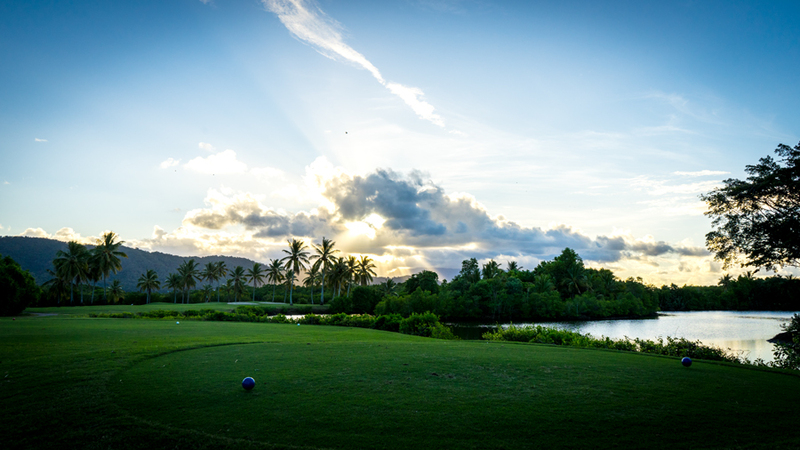 I booked the last tee time of the day at 2pm to catch some of the remarkable sunsets of the tropical north. 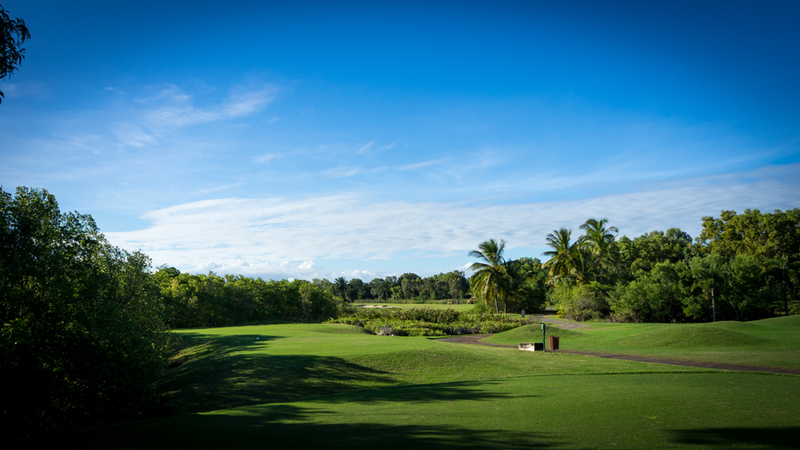 The first nine holes they wind partly through the neighboring Sheraton Resort. 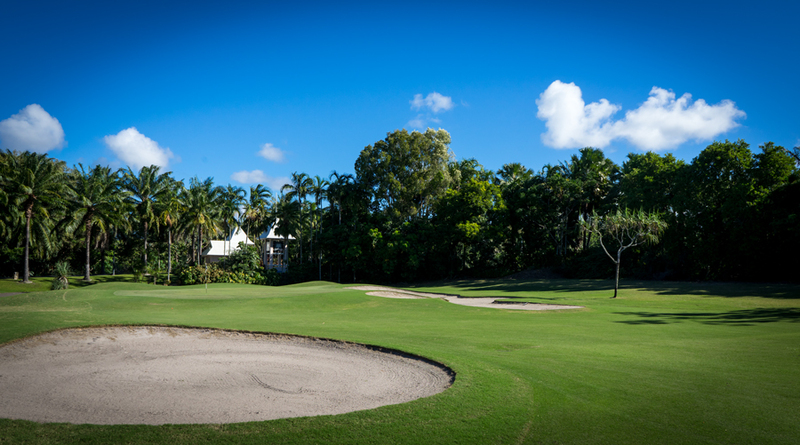 The holes No.3 and No.5 even along the beach. Very welcome because of the fresh breeze on this hot day. I really liked all of the par 3 on the front nine. All playable but always equipped with sandy trouble. 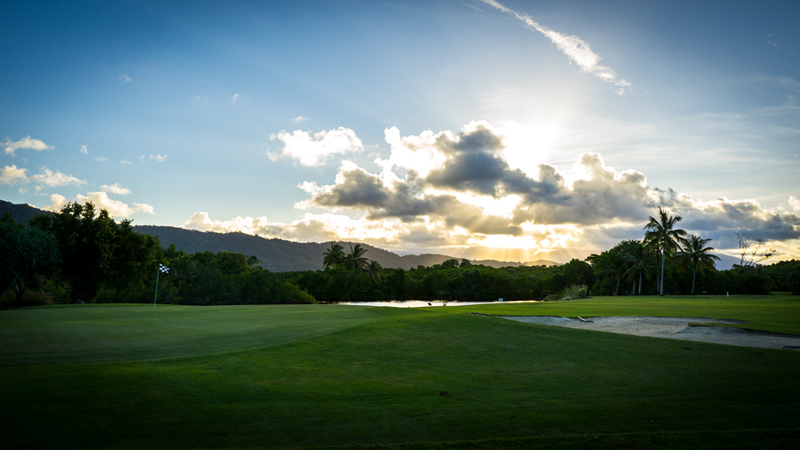 There is no water at all on the front nine but once you tee it up on hole No.10 make sure you bring enough balls. Water with crocodiles as far as the eye can reach. So don’t ever try to catch your ball out of the water hazards. 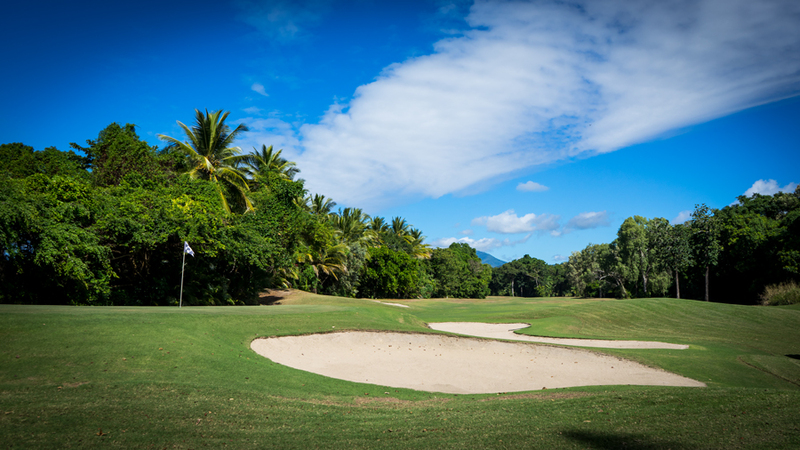 Also more exciting on the back nine is the finishing stretch with No.15, No.16 and No.17 straight through the wet mangrove forest of Port Douglas. 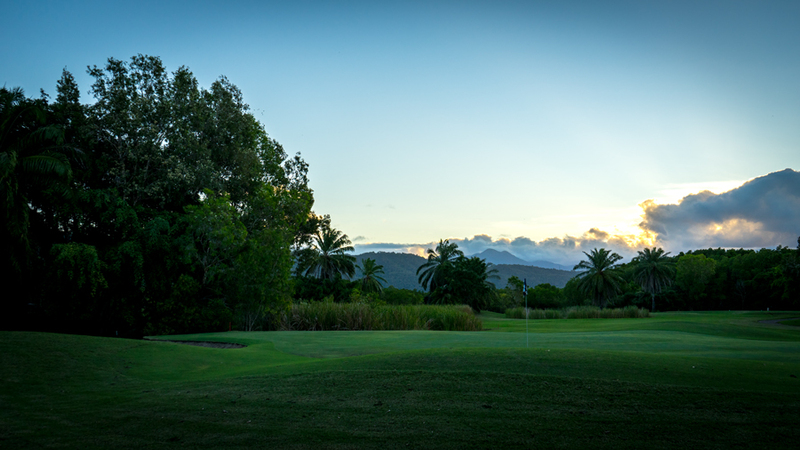 No noise except from the tropical nature wildlife with all its birds plus a picture-perfect sunset. 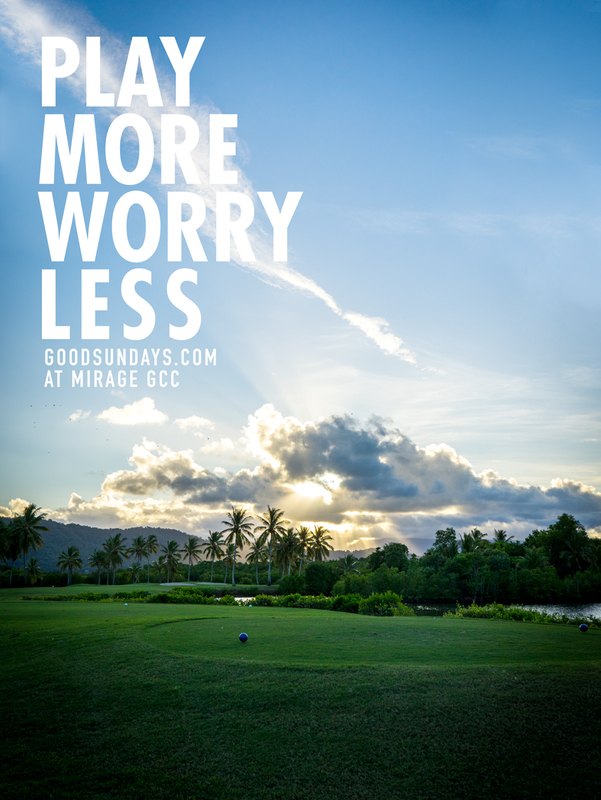 My goodsundays.com signature hole was No.17 a narrow par 4. 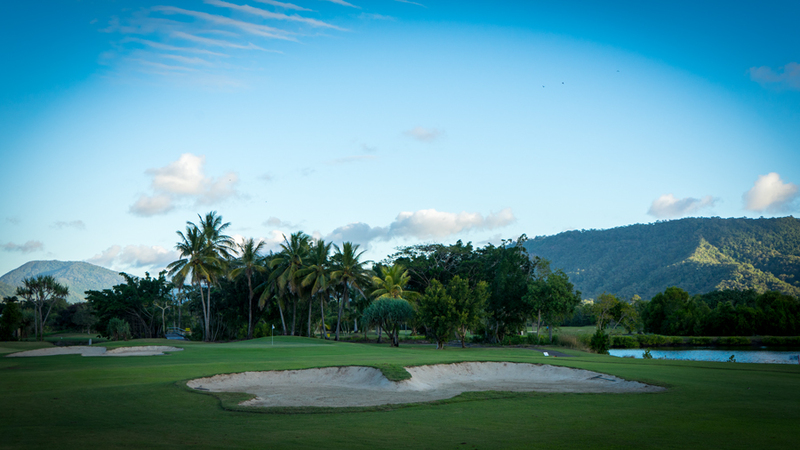 You need to hit your tee shot 180m over the pond or it ends up by the crocs. 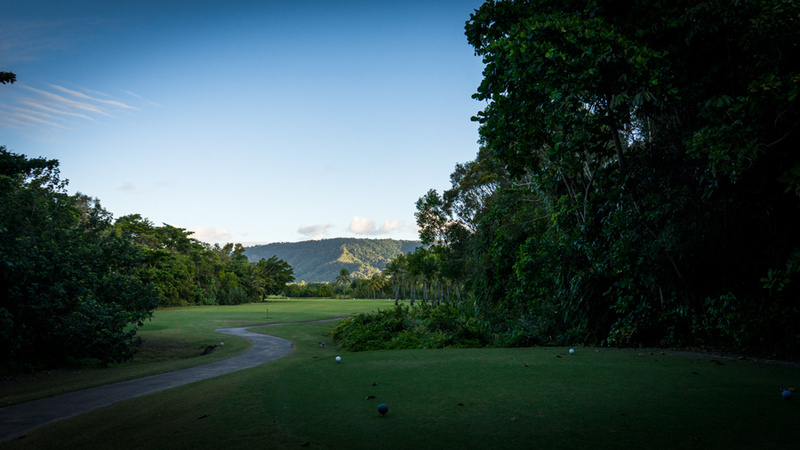 Once you made it there is still some serious trouble on the left side of the fairway. The beautiful placed bunker made it impossible for me to play tiger line from the tee. I hit a good shot right side of the fairway. 175m left from my spot but somehow my second ended up on the green. Two putts and a rare par on this day was written on the scorecard. 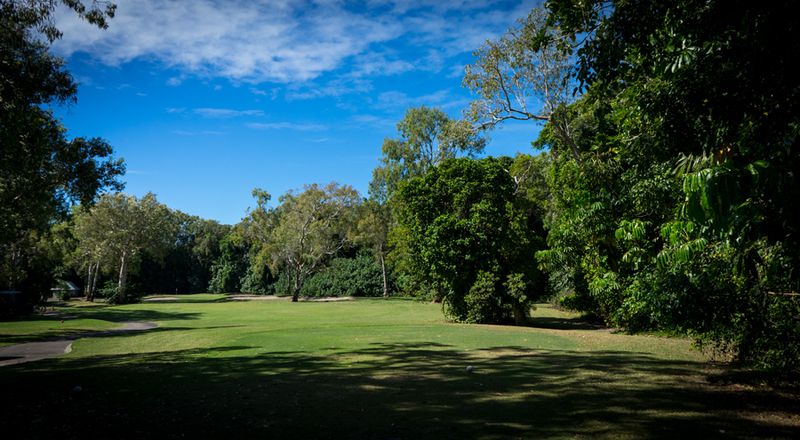 During my round the fairways and greens have been in satisfactory conditions. 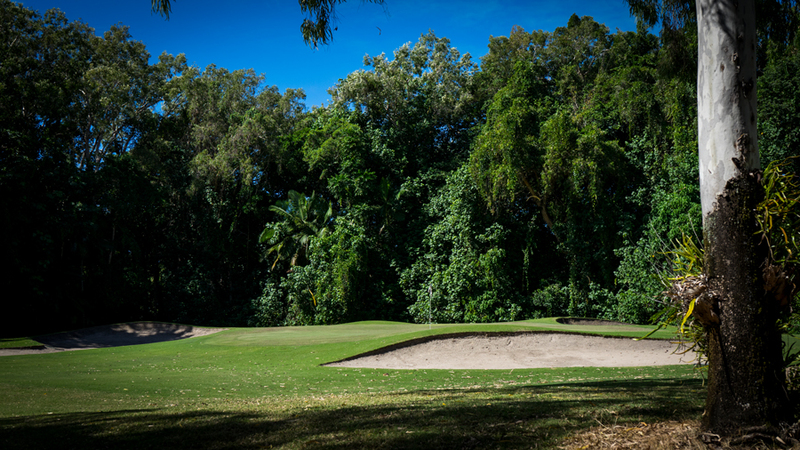 Honestly the course is quite playable and offers an interesting mix of holes throughout the course. 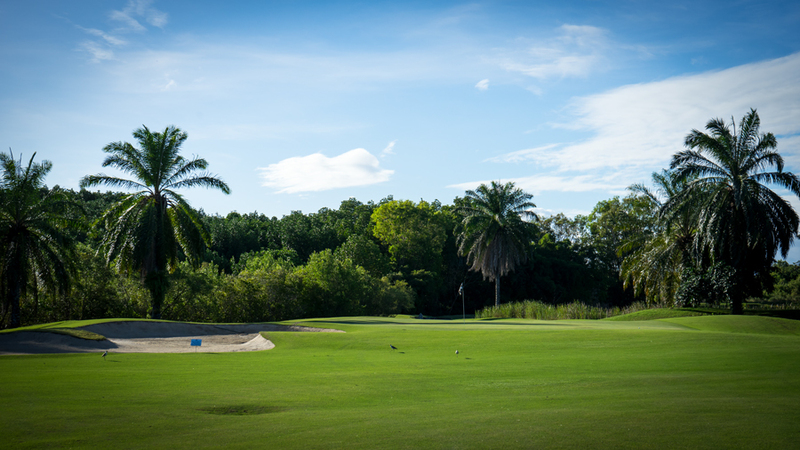 Yes the course is a thing of the past but still fun to play. 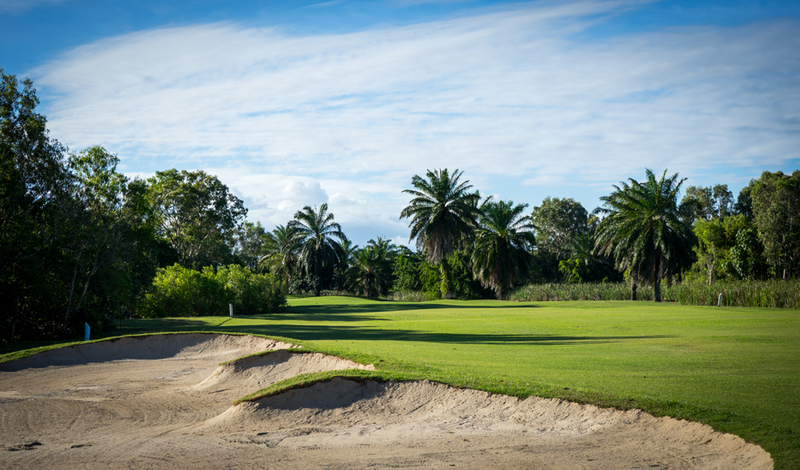 The front nine are very different to the back nine and in summary the course is still a good recommendation.